What are the characteristic financial arrangements for residents in retirement villages? What are the typical liabilities of the resident (or their estate) on moving out? How do these compare to the forms of accommodation for elders? What factors affect the timing of refunds? Should the tenancy be severed? 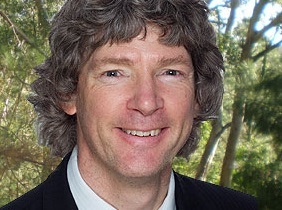 Richard McCullagh is a legal practitioner, author and teacher. Richard has practised in the law relating to retirement villages since 1985 for operators, big and small, in-house and externally and for residents, his current focus, moving into retirement villages and aged care facilities. Richard is the author of ‘Retirement Village Law in NSW’ published by Thomson Reuters, 2013, which includes a chapter on residential aged care facilities. Richard has written articles and presented on topics relating to elder law in general, including retirement villages, residential aged care facilities, granny flats and enduring powers of attorney. Richard is a legal director of Patrick McHugh & Co Pty Ltd, solicitors of Kincumber on the Central Coast of NSW and an adjunct lecturer in Elder Law at the College of Law, Sydney. Live webinar delegates will receive a CPD certificate for attendance at this webinar. Accountants can claim up to 2 CPD/Training hours. Lawyers can claim up to 2 CPD units/points – substantive law. This webinar has been designed to run for 2 hours, however, webinar lengths can vary depending on the level of questions and discussion, and the minimum length of the webinar is 1.5 hour.